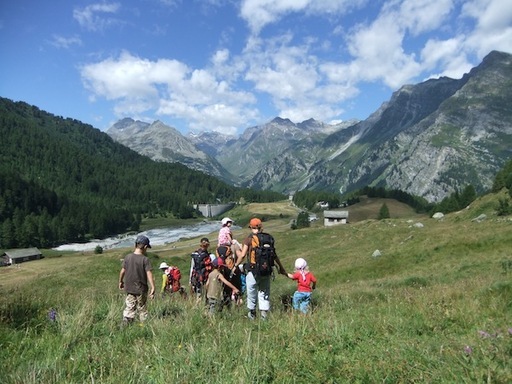 Today is Swiss National Day and the first day of our expedition! After a filling breakfast, we started to equip ourselves for the trek ahead. Everyone was given a harness, sling, and carabineer as we would be doing some simple climbing activities later in the afternoon. We started out along a trail from our base camp leading into the mountains. Soon the beauty of Switzerland emerged before our eyes. I was utterly captivated. Everything from fat lazy cows to dancing tadpoles, I felt that the experience was unlike any I had before. 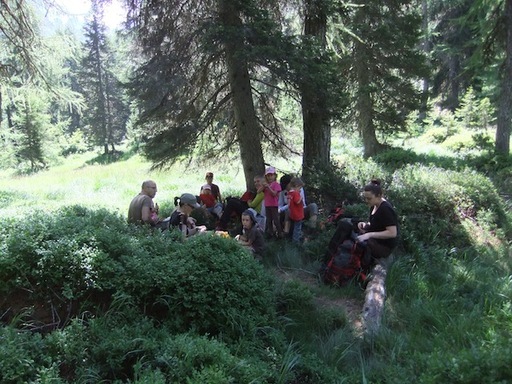 We went deep into the mountains and had a picnic at a small clearing. We then proceeded to do some climbing activities with some of the obstacles that were along the trail. It was a refreshing start and a good preparation for our future treks. During our trip out into the wild, we managed to have some time to explore a preventive dam that was built around the region. This dam was constructed to mitigate the effects of the melting glaciers on the beautiful valley below. 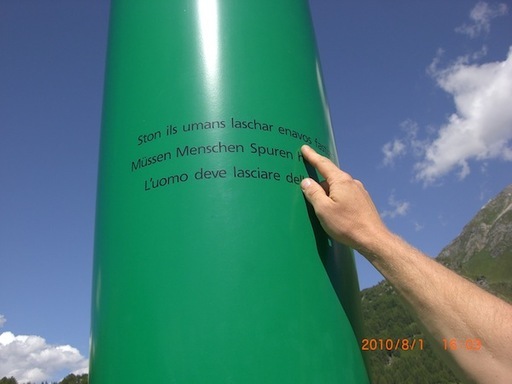 This dam was also a tool used by a famous Swiss artist to raise awareness for global warming. 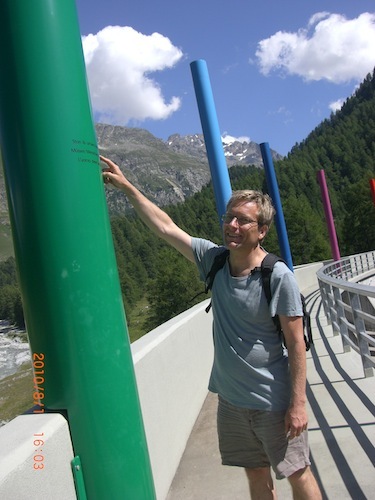 Using colorful poles to attract attention, he hopes to send a message out to those around the region to come together and prevent global warming. Interestingly a side of the dam was filled with rocks for those who are interested in free lance rock climbing. I felt it was a really good use of space as well as a good addition to the promotion of a healthy lifestyle. As the day came to an end, everyone gathered around the campsite to perform the solemn ceremony for the Swiss National Day. Children were given lanterns and everyone walked together singing folk songs around the campsite. 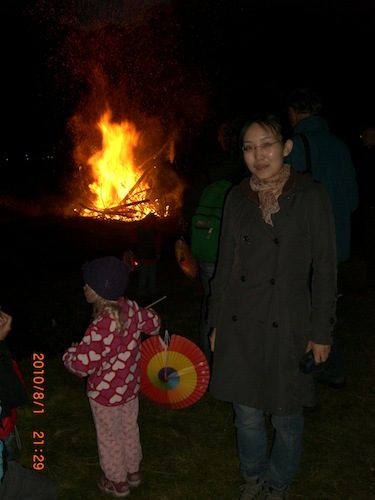 When night came, the great stack of wood along the lake was lit and everyone silently watched the fire burn. When I saw another great fire lighting up in the mountains, I wondered how bright Switzerland must be from the sky. When the fire died down, the Swiss national anthem rose from the crowd- as if trying to keep the fire burning. It was an amazing sight and a perfect end to my first day of my expedition.